Murder Most Famous is the latest twist on the celebrity talent show and will be shown every day next week at 1.30 on BBC2. Brendan Cole, Sherrie Hewson, Kelvin MacKenzie, Matt Allwright, Angela Griffin and Diarmuid Gavin will be assigned murder detection challenges by our own star author Minette Walters- including dog tracking, resisting a violent attack and an autopsy, and will then have to use what they learn to inspire their own crime fiction novel. Minette will be mentor, judge and executioner across the series, setting the celebrities their challenges, mentoring their writing efforts and "bumping off" the least impressive writer at the end of every episode. The best writer will then develop his or her idea into a novel to be published on World Book Day 2009. Proceeds from the book will go to RaW - the BBC reading and writing campaign to improve literacy in the UK. Tune in or set the video next week- and to whet your appetite, Dreda Say Mitchell will be reviewing Murder Most Famous on Monday's Front Row at 7.15 on Radio 4. And rumour has it that our very own Mike Ripster appears in the final episode (if he doesn't end up on the cutting room floor! Just when you thought it was safe to go to the cinema - RAMBO is back. I met his creator, David Morrell at Left Coast Crime, Bristol back in 2006 and we spent a long time talking, not only about his books but films, Westerns and family. It's no surprise that Ali Karim and I labelled him "the Daddy." A great, great guy. And if you are an aspiring writer then go out and buy his book A LIFETIME IN WRITING. A superb companion that you will read again and again. Our ezine currently has a tribute to David. Ali : So for those who haven't caught up, tell us a little about the book? Roger : The book starts in 1939 with a central character called Joseph Vaughan at twelve years old. He grows up in a small rural farming community in Georgia, USA, called Augusta Falls, and is witness to the devastating effect of a series of child murders that occur within the surrounding area over the subsequent decade, so much so that he and his friends band together in an effort to do something to stop the killings from taking place. The book spans fifty years of his life, and throughout the entirety of these five decades he is determined to identify and bring to justice the perpetrator of these crimes. I wrote the novel for a simple reason: To once again put an ordinary individual in an extraordinary situation, and at the same time highlight the sheer indomitably of the human spirit. It has always amazed me the degree to which a human being can rebound from loss or tragedy. The central character of A Quiet Belief In Angels loses everything, and yet survives. I wanted to tell his story - a story about childhood, about the way children deal with things that they should never have to deal with, how their means and methods of coping are so very different from adults. I also wanted to remind myself of the sheer magic of the written word, and how such classics as To Kill A Mockingbird enchanted me as a child, and somehow helped me deal with whatever happened personally. The SHOTS editors, Mike and Ali, really relish discovering new talents in the crime and thriller genre and we believe that new voices always breathe new life into the genre to keep it fresh and vibrant. That is why Shots Ezine supports ITW’s KillerYear project. Way back when, in 2006 to be exact, there was a group of authors facing the release of their debut novels. One of them, Jason Pinter, put out a call for fellow debut crime writers to join him. Soon he had a band of merry murderers, dubbed Killer Year. Their goal? To see each other through their debut year, to help promote each other, to forge new connections, and to try to have some fun along the way. I met the Killer Year group at ThrillerFest in Phoenix and stayed in touch with them throughout their debut year. ITW, under the guidance of MJ Rose and the rest of the Board, adopted Killer Year, helping them navigate the unpredictable publishing shoals and reefs. It was a fantastic success. 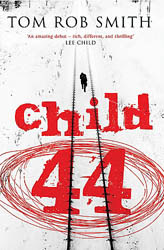 Killer Year members have received nominations for awards, accolades from national press, film deals, foreign rights, and now, under the editorial guidance of Lee Child, have an anthology due to be released. Lee went to the ITW Board and proposed a long-term continuation of an ITW Debut Author Program. One that all ITW debuts could participate in, sharing knowledge with their published fellow members. And thus, I present to you, the first group of ITW Debut Authors … Let The Thrill Begin! 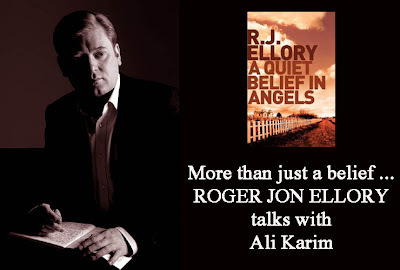 Given that Jed Rubenfeld, William Boyd and Simon Kernick were given the Richard and Judy Book Club treatment, we can expect to see Roger Jon Ellory’s A Quiet Belief in Angels up on the list for 2008. Emma Dunford, who recently joined Piatkus as senior editor from Jane Gregory Literary Agency acquired two crime novels by debut novelist Nick Brownlee from Jane. 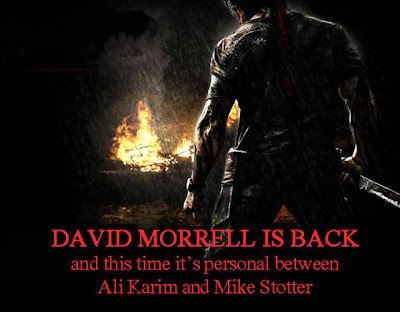 The series is set in Mombassa, on the east coast Kenya and the first, Bait, introduces a crime busting duo.